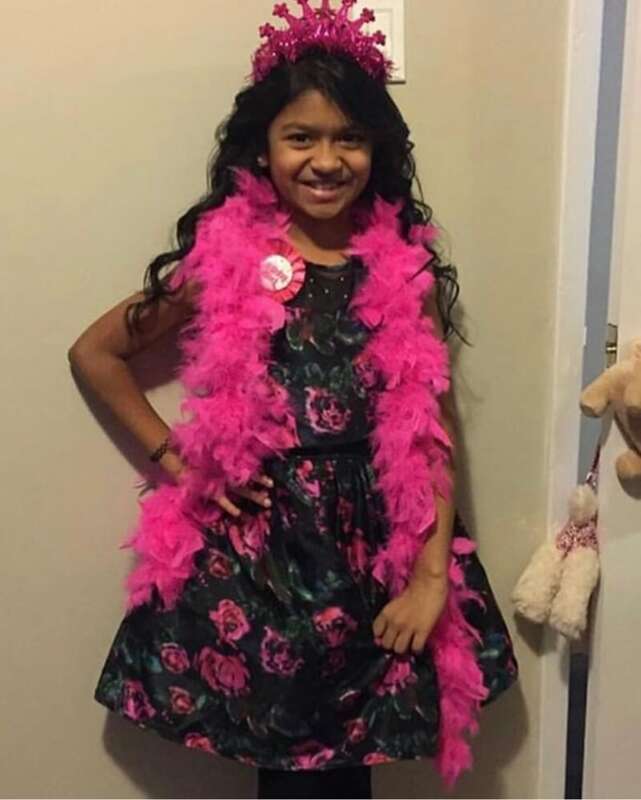 Friends, family, and members of the community gathered at a candlelight vigil in Brampton for 11-year-old Riya Rajkumar, whose body was found at a home last Thursday following an Amber Alert. 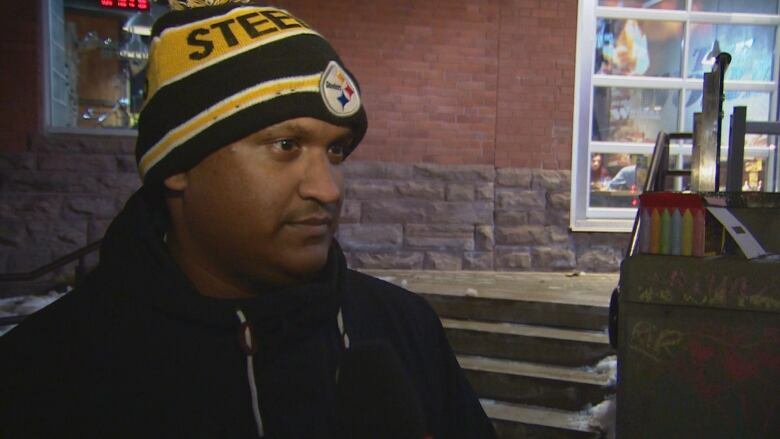 The girl's father, Roopesh Rajkumar, 41, faces a first-degree murder charge. Members of city council in Brampton, Ont., organized the vigil, which was held at Garden Square in downtown Brampton Tuesday evening, and was open to all members of the public. The evening began with two songs of prayer dedicated to Riya as members of the crowd remained quiet. Poems, speeches, and songs were presented, as the sky darkened and light from hundreds of candles illuminated the area. After thanking the city for the event, acting Peel Police Chief Chris McCord read out a statement written by Riya's mother. "Today, I wish to tell the story of my baby girl, my best friend, my everything," the statement reads. "She touched a lot of lives with her laughter and contagious smile. It breaks my heart to know I will no longer be seeing that smile." Brampton Mayor Patrick Brown was out of the country Tuesday, but recorded a video that was played at the vigil. In his speech the mayor thanked police for their service. His wife, Genevieve Gualtieri, stood on the stage in his place. "Brampton will always remember Riya," she said. "As an expecting mother myself, I am still in shock." Gualtieri said the clock tower in the square will be lit up in pink Tuesday night in Riya's honour. Mississauga Mayor Bonnie Crombie also attended the event which she said was "a first step in the healing process." "I want [the family] to know they are not alone," she said. "Know that Riya is now resting peacefully among the angels in heaven." Crombie said this tragedy should serve as a stark reminder that, as a society, we must "do better" to protect women and young girls. Brampton resident Masika Gardner said she would never want what happened to Riya to happen to her daughter. "As a mother, it touched my heart to see that someone that you trust, someone that you love, someone that is supposed to love you, literally took your life," she said. 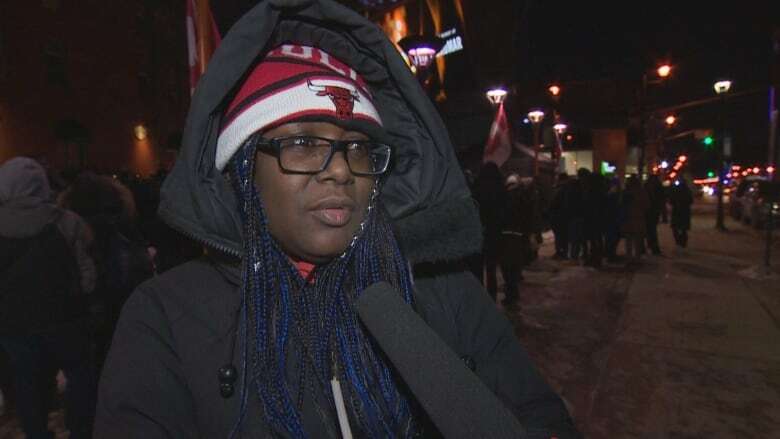 She said it was important for her to attend the vigil to mourn with the rest of the community. "Togetherness helps with the grieving," Gardner said. Shereen Khemraj teaches at the dance school Riya attended for a brief time a few years ago. Khemraj said she and several other teachers were there to pay their respects. "Very happy kid, liked by everyone," she said. Anthony Baijoo, another community member who attended the event, said he lives close to the house where Riya's body was found. "It's just so hard, knowing she [was] so close," he said. Baijoo said he has two young girls — one of them is 10 years old, just a year younger than Riya was when she died. "I pass by that house every day and it's just so sad," he said. "She shouldn't have had to go through that, she should be living her very happy life." Brampton city council also released a written statement about the vigil. "Our community is grieving the tragic death of Riya Rajkumar, and this is a time to come together in solidarity, and remember and honour a young life," the statement reads. The girl's father was arrested at about midnight on Thursday, around the same time officers discovered her body in a basement apartment, one hour after she became the subject of an Amber Alert. Provincial police found him driving north on Highway 11 near Orillia, about 130 kilometres north of Brampton, in a silver Honda Civic. Police were initially called by the girl's mother after her father failed to return her home from her birthday celebrations on Thursday evening. Coun. Rowena Santos, who represents Wards 1 and 5, said Riya's death has had a huge impact. "It's been incredibly heartbreaking as a mom myself and for many of the parents and families here in the city," Santos told CBC Toronto on Monday. "It's been incredibly tragic to hear the news of Riya being murdered in Brampton on her birthday. I can't imagine what it must be like for her mom, her family and her friends who knew her so well." Santos said she broke down crying on the phone while speaking with the chief of police for Peel Region about Riya's death. Speaking with reporters at the launch of Winter Stations on Monday, Toronto Mayor John Tory said the entire city of Toronto joins the family in grieving the loss and the unspeakable circumstances in which Riya died. "I just hope that Family Day reminds us all that no matter how difficult things become in households, you have to keep working at trying to keep the family together; trying to make sure that people who seem to go over the edge in terms of their emotional state are given attention and given support," Tory said. "[I hope] that we make sure that this little girl's life is not lost in vain in terms of us all redoubling our efforts to make sure justice is achieved in this case, but also to make sure we take these kinds of things seriously."